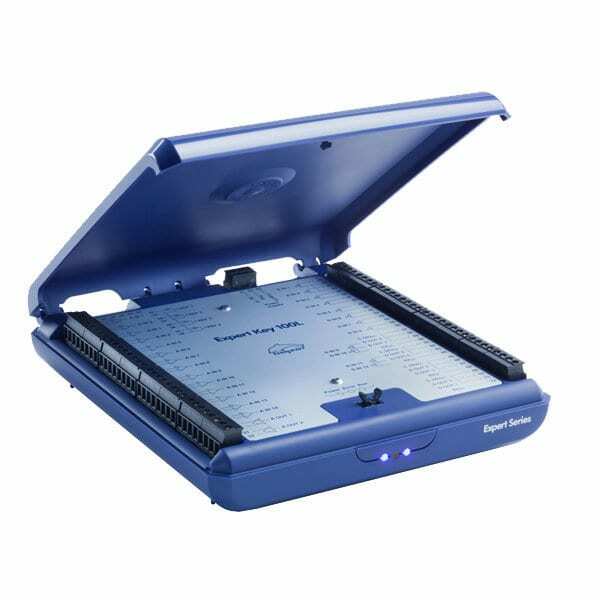 The Delphin Expert Key 100 Data Acquisition System offers extensive features. The combination of all these functions into one device makes Expert Key unique in the broad field of USB data acquisition technology. The Expert devices have full potential isolation in the form of analog differential inputs that users configure according to requirements: for mA/mV and V signals as well as for RTD or thermocouples. These universal options enable simple operation of the device. Integrated signal conditioning enables any type of sensor to be connected to the plug-in screw terminals. Scaled measurement data is then available to users. Recalculation from mA signal to bar, % etc. is unnecessary. The analog outputs can be easily switched between current and voltage output. Digital inputs (status inputs with counters of up to 1MHz) and digital outputs (switch outputs, PWM-outputs) with switch capacities of up to 30W are included within the compact device and can be utilized at no extra cost or effort. Each channel is easily configured at sampling rates of 100 KHz using the DataService / Configurator software included in delivery. To display your data on the screen, just select the required sensor, measurement range and scaling. 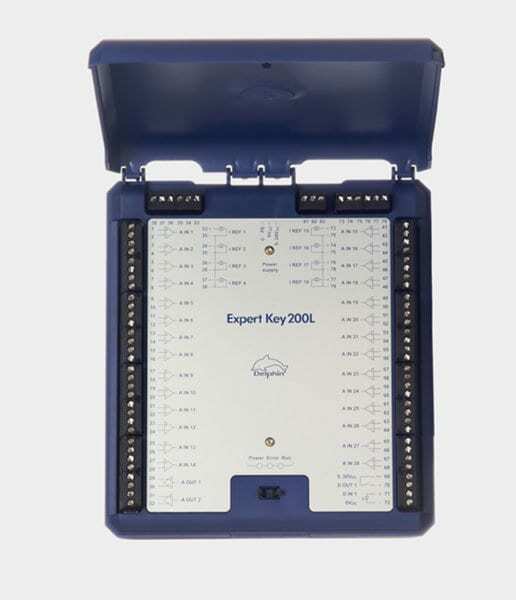 The Expert Key 100 provides full potential isolation, a feature that is absent in many low-cost products. The analogs, with 18-bit AD converters, as well as the digitals, are galvanically isolated from the central unit (a modern FPGA) and from the PC interfaces (Ethernet/USB). Earth loops or non-isolated signals therefore present no problems and additional transformers are usually unnecessary. As communication interfaces, the device has a USB port for plug and play operation and an Ethernet port for measurement data acquisition across company networks. Fast system set-up and mobile measurement with a laptop and the ProfiSignal Go software are therefore always possible. Fixed installations using cabinet systems are also possible. ProfiSignal Go is the intuitive user-friendly software for storing measurement data, displaying the data in trends, analyzing the data and exporting the data. Measurement data can be monitored online in one trend while archived data is being simultaneously evaluated in another. Setting up ProfiSignal Go is very simple. It takes just three mouse clicks to go from sensor connection to trend output. Its user-friendliness makes ProfiSignal Go a pleasure to operate. ProfiSignal Go is supplied free of charge with each Expert device. There are virtually no limits to the portrayal of online and offline measurement data as trends. Users may evaluate archived or online measurement data without having to interrupt the current measurement run. This is a unique function and is especially valued by customers. As well as y(t) and y(x) diagrams, logic diagrams are also available. All diagram functions such as moveable axes, zoom functions, cursors and markers and CSV or EMF data export are included in the practical and self-explanatory ProfiSignal Go toolbox. Software upgrades to ProfiSignal Basic and ProfiSignal Klicks are possible at any time to include functions for visualization and automation. As well as trend functions, ProfiSignal Go also provides alarm management. A global alarm list simply and clearly portrays alarm notifications in tabular form. Alarm settings for the monitoring of over-runs, under-runs, process violations, status outcomes etc. are configured using the DataService / Configurator software. Other actions such as emails, text messaging or triggering a digital output may also be performed. The Expert Key 100L and 200L are designed for table-top and wall-mounted usage. The mounting brackets s are included in delivery. Pressing the detachable lid gives a clear overview of connections. Sensors and actuators are connected via plugs located on the side. 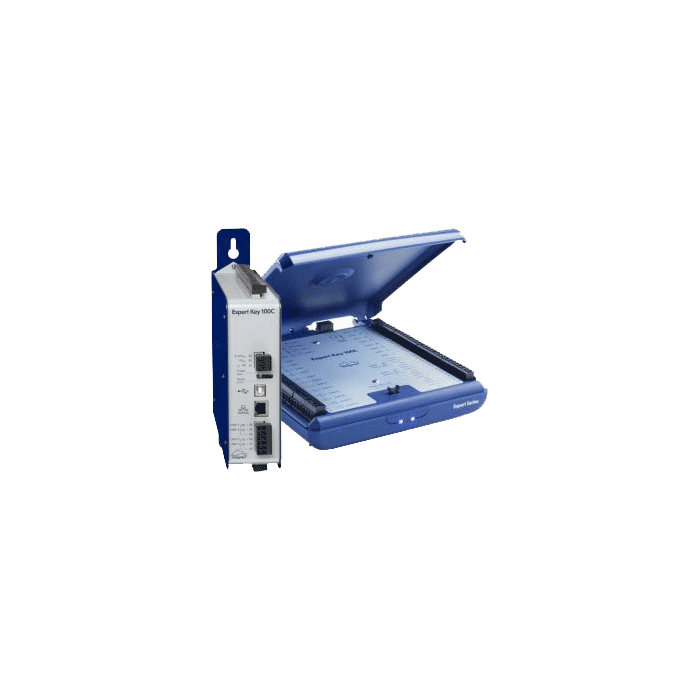 Expert Key 100P and 200P have console housings and plug connections for use in testing, trial, and laboratory applications. All signals are connected via 4 mm safety lab plugs. Data can be transferred to a PC via USB or LAN. RTD sensors, voltage or current signals can be connected directly to any analog input. The ProfiSignal software enables lab automation complying to FDA21 CFR Part11. The Expert Key 100M and 200M are durable measurement data acquisition systems for use in demanding environments. They function from within robust cases with measuring cables being fed through brush strips on the case’s lid. Signals can be connected via 4 mm safety lab plugs or any other type of plug or connector. Standard systems are available as well as customized systems tailored to user requirements. Please call for pricing and options for this model.